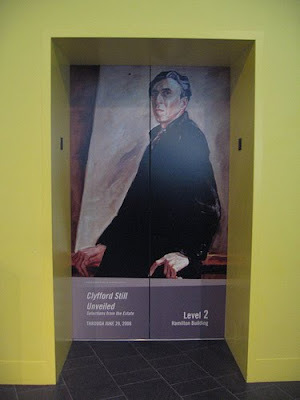 Are Your Museum's Elevators An Underutilized Graphics/Messaging Resource? I'd like to collect the best ideas and/or images you've experienced (or would like to experience!) of graphics, exhibits, messaging, or architectural embellishments involving elevators and pull them together for future blog posts on underutilized graphic/exhibit spaces in buildings. So either put your elevator musings into the Comments Section below or put them into an email to me directly.